So there it is... six random things about me. Thanks for being my first tagger Allikaye's Mama! 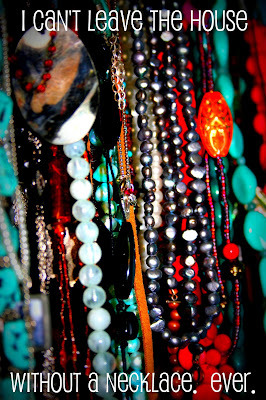 ...and, I'm the same way: you will never seem me leave the house without a necklace. Why? I don't know. I live in my Rainbow flip-flops. I never watch live tv either!! Great randoms! I'm totally with you on tivo. 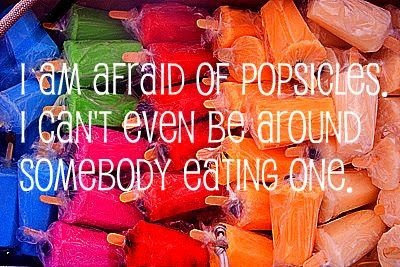 I don't freak out over popsicles, but don't really like them either. I also don't like ice cream. Total weirdo. By the way, the stamped necklaces look SUPER cute framed with a longer beaded necklace. Just sayin'. I've been wearing mine like that all the time lately. Julie! What font is that on your photos? I LOVE it! Neat post. I remember telling my DH I didn't understand TIVO. Now we have it and now I get it. I love it! I'll have to try your ICD stain removal tip. I don't use Burt's Bees lip balm. But I never leave home without lip balm. I love how you shared your random things. I love Burts Bee's chapstick!!!!!!!!!!!!!!!!!!!!!!! Those are great randoms, never would have guessed! 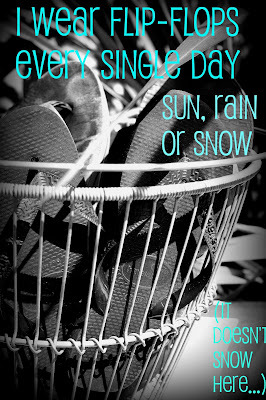 :) Definitely OCD :P And I bet you have the worst flip flop feet, my feet get so gross on the bottom after summer's over. Oh girl! I remember this post! And I remember tagging you...oh the memories!! hehe! 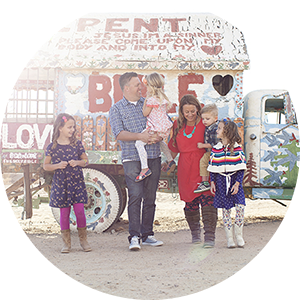 You have been one of my longest bloggy friends!!! Hope moving is going great! Oh - and the snow out here says hello! Popsicles?! Haha. Not as weird as my butterfly phobia! 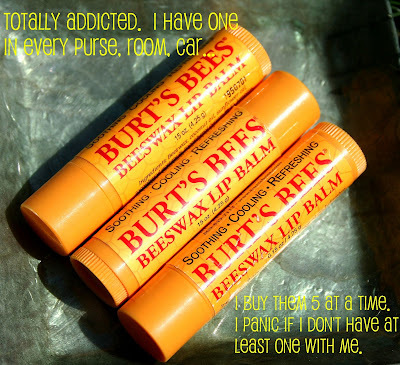 I am TOTALLY addicted to Burt's Bees chapstick too...it is the absolute BEST!!! And I only watch our DVR, it's the only way I get to watch anything since having a baby! Yeah. Somebody like me! I ONLY wear flip flops (even in the rain). AND I ONLY watch TIVO (better invention then the micro)! Well, that sure was fun! The popsicle one just cracked me up. But, I am thrilled to know your secret of removing stains. 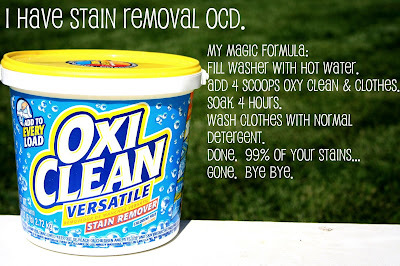 Sounds easy and I love oxyclean, so I am going to give this a try!! Thanks. Agreed. 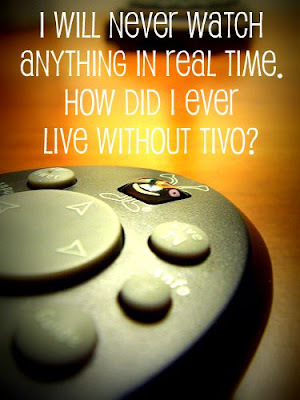 Tivo is the next best thing to penicillin. Seriously! That works on stains...I have 2 girls one on the way and nothing to pass down to the last cause of ALL OUR STAINS!! LOL. hey julie...thinking about you today. you have to be exhausted! Oh I am with you on live tv!! Can you do the Oxy Clean trick with colors too? I too have stain removal OCD, and a stronger than average love for all things Burts Bees. I'm trying your Oxi Clean method in a last ditch hope for some beloved clothes - hope it works! Very cute, and so fun to read!